When we began brainstorming with HP about the idea of creating a printer using plastic from our recycling program—creating a closed loop—we knew it would be a challenge. It took several years for both companies to bring the strategic vision to life by building the process and developing the new products. In the end, we made history. 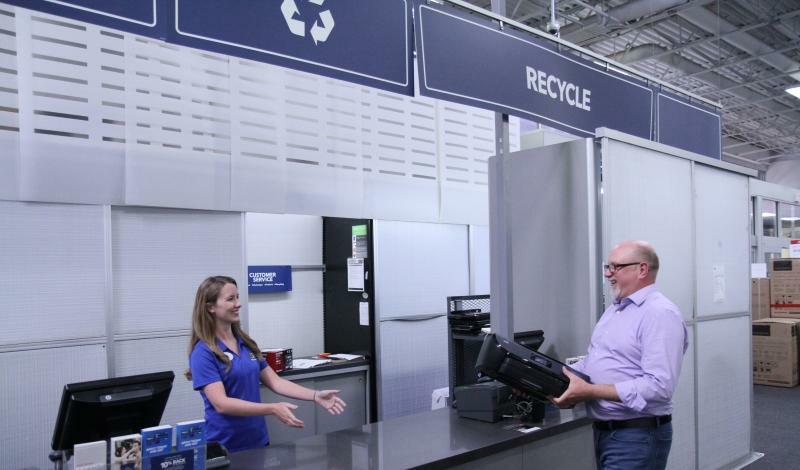 Plastic from old printers and other electronics that our customers recycle at Best Buy is separated, shredded, melted, and put directly back into the manufacturing of three new HP printers. The HP ENVY Photo 6200, 7100, and 7800 are the world’s first in-class printers made from recycled printers and other electronics—more than 10% by weight. This was a very exciting partnership for both companies, built on sustainability, and we subsequently rolled out an external communication plan aimed at educating consumers about the benefits of the circular economy.